Only coming to prominence in the mid-nineteenth century when English, French and American scientists encountered the animal for the first time, the gorilla’s physical resemblance to humans immediately struck a chord, marking the beginning of a relationship between animal and man that has yielded diverse results, becoming a popular subject for scientists, writers, anthropologists and artists alike. Along with the orang-utan, and some chimpanzees, gorillas are classified as higher apes, a group defined through similarity to humans and which has held a special place in theories of evolution. Today, the remaining gorilla habitats in Africa are threatened by deforestation, and populations continue to be diminished by illegal hunting. They are again at the heart of impassioned contemporary debates on animal ecology and animal ethics. 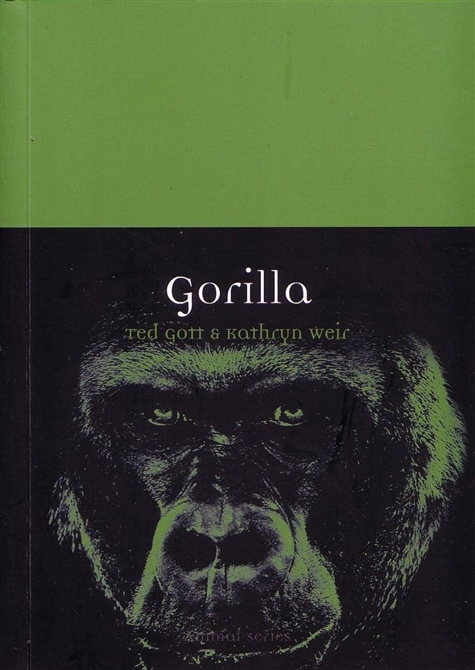 In Gorilla, Tedd Gott and Kathryn Weir provide a compelling and sometimes disturbing account of our relationship with this noble, intelligent animal. From Tarzan to King Kong, they track the gorilla through the history of expeditionary narratives, literature and film, where it has acted as a screen upon which fears of sexuality, theories of criminality and narratives of humanity’s relationship with primates have been projected. 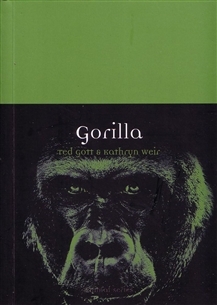 At times amusing, moving and unsettling, and packed with information and anecdote, Gorilla presents a notable history of this animal’s influence on our culture, as well as its plight at the hands of humankind. The book will appeal to the many fans of this gentle giant, as well as all who wish to learn more of its troubled past and uncertain future.